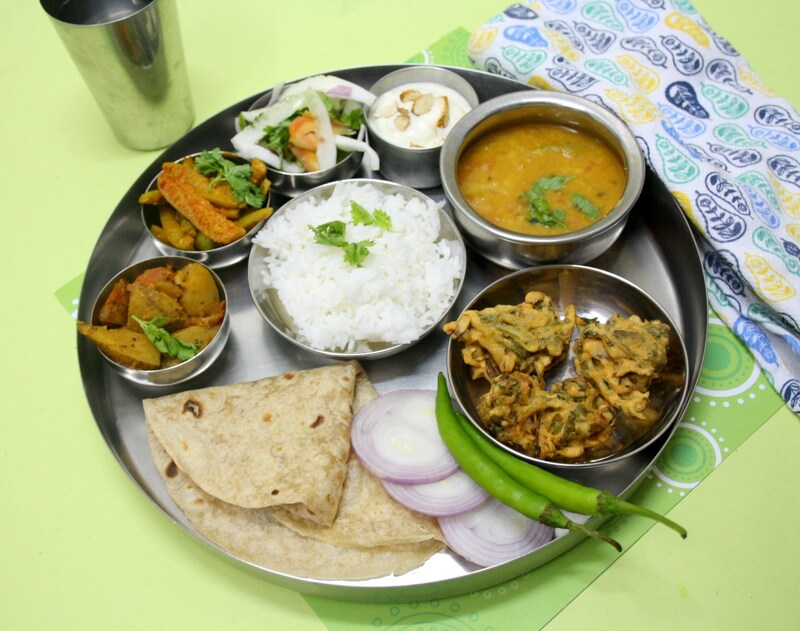 In the Gujarati Thali menu, Shrikhand had a permanent place. Even though I have done so many variations of the Shrikhand, I just could’n’t ignore. If you talk about your regular Shrikhand, Aamrakhand, Badam Pistachio Shrikhand, Badam Shrikhand, or little daring to try Chocolate Shrikhand or Strawberry Shrikhand, I have it all. There was nothing new I could make or maybe there is, I am yet to check it out. Anyway even if the menu was supposed to be a mini one, it was still daunting and the other sweet that I planned to make, didn’t materialize. So I had to plan for a Shrikhand! 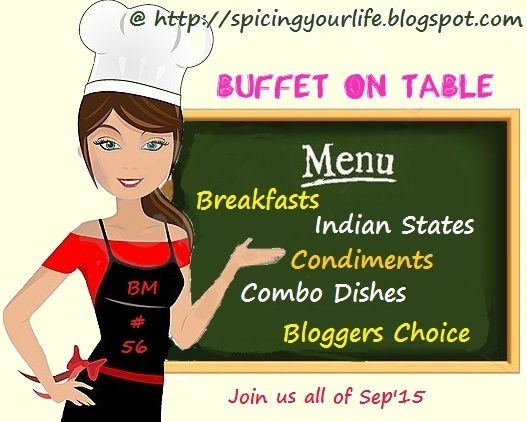 It calls for another mix and match and I have a Kesar Pista Shrikhand for you! I simply love Shrikhand and in this version, I resorted to quick version of it by using icing sugar. This makes it more creamy somehow and we ended up with such a delicious dessert! Line a muslin cloth over a sieve. Pour the thick curds into it and let it sit in the refrigerator for 24 hours. Soak the saffron in warm milk. Blend the pistas to powder. Transfer the hung curds to a bowl. Add the saffron milk and pista powder and blend well. Transfer to serving bowls and refrigerate until serving. Garnish with chopped almonds on top. I don't like plain yogurt but love sweet and savory (raitha & perugu pachadi) yogurt. Kesar pista shrikand looks creamy and is mouthwatering. 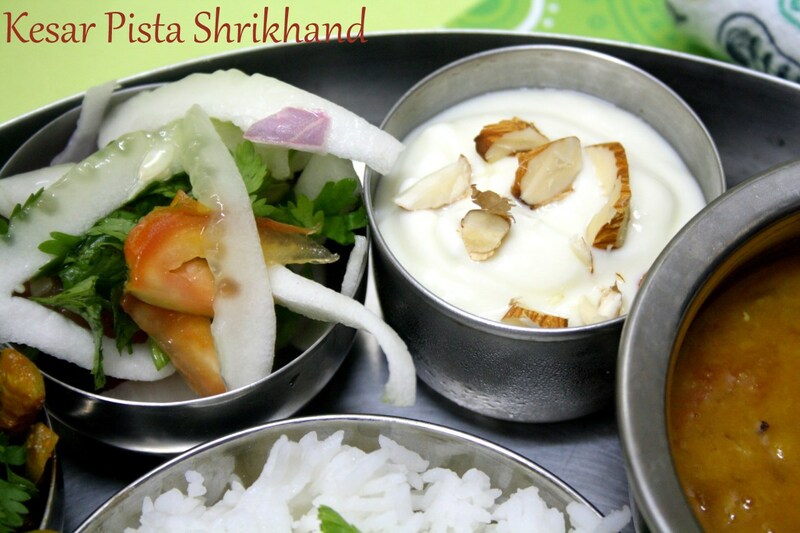 I love Shrikhandand kesar pista is my favorite.Looks yummy. Truly shrikhand is a versatile sweet , one can have umpteen flavors. The kesar pista is one of the most popular ones. Icing sugar is a good option. Looks good Valli. This is one sweet that does not see me in attack mode.